With its tasteful transitional style, this accent cabinet will enhance your home no matter what room it's in. This piece features accent molding, metal knobs, and a distressed finish for a rustic-chic look that's sure to warm up your decor. Plus, there's two adjustable shelves behind each of its doors , so you can cater its concealed storage space to your exact needs. 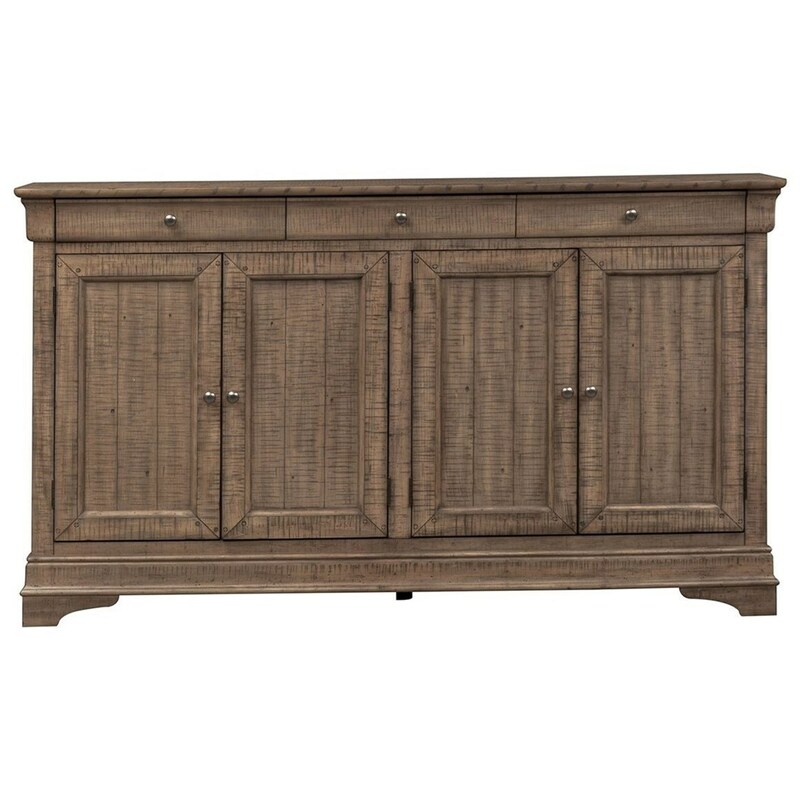 The Gentry Transitional 4 Door Accent Cabinet with Distressed Finish by Liberty Furniture at Miskelly Furniture in the Jackson, Pearl, Madison, Ridgeland, Flowood Mississippi area. Product availability may vary. Contact us for the most current availability on this product.